Taille De Noyer, located on the campus of McCluer Senior High School, was built originally as a two room log cabin in 1800 and was used as a fur trading post. It is thought to be one of the oldest homes located in St. Louis County. The cabin was purchase in 1805 by John Mullanphy, St. Louis' first millionaire, who was a merchant and trader. He first used the two room log cabin as his hunting lodge, eventually giving the home to his daughter, Jane, and her husband, Charles Chambers in 1817. The Chambers began to expand the house and continued until it became a 22-room mansion. 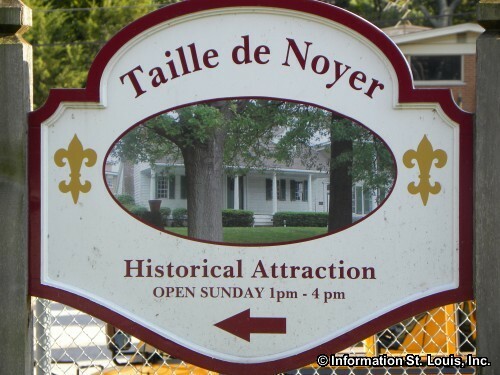 Taille De Noyer was occupied by the heirs of John Mullanphy for 140 years until it was purchase by the Ferguson-Florissant School district in 1960. 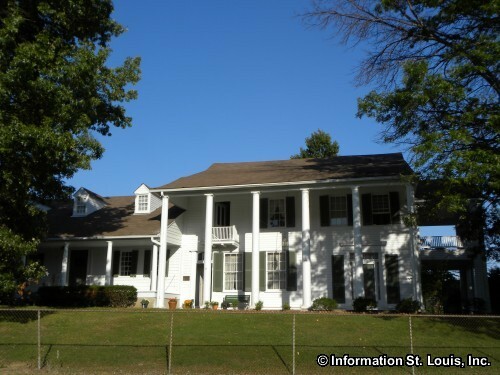 Today the Florissant Historical Society has carefully restored many of the rooms of this historical home. It is open for tours March through December on Sundays, 1pm-4pm and any time by appointment for group tours. It is closed on Thanksgiving, Christmas and New Year's Day, and the entire months of January and February. A small admission fee is charged. Real Estate For Sale in 63031.